This means you can now purchase a home use treadmill for under €1300 and a cheap budget one for under €700. Commercial treadmills and refurbished are the most expensive but generally have a much longer life span if you take care of your machine, similar to your car if your clocking up mileage! In Ireland we have unpredictable weather throughout the year and when winter approaches there will be fewer hours of daytime light which will restrict walking, jogging and running outside, However with treadmills you can walk, jog or run in the safety and comfort of your own home, rain or shine, day or night! Belt the belt should be long enough and wide enough to accommodate your running style,if you plan to do a lot of running then look for a belt with a width of 50cm (20″) and a length of 140cm (55″). Consoles and Programming Nowadays most treadmills come with a built in computer that will display and enable you to select a customised workout, speed, incline and other options. If you get bored easily it may be worth investing money in a treadmill that has a range of different workout programmes, as this will help you stay motivated. Incline (Elevation, simulates walking up a hill) if you plan to do a lot of uphill walking or running then look for a treadmill with an incline of 15%. Thankfully most commercial treadmills incline to 15%. Speed maximum speeds will vary between models. Mid range and commercial treadmills have maximum speeds of 20kph (12mph).To give you an idea of speed, world class runners can run at an average speed of 20kph during a marathon! Warranty always check the warranty before purchasing. A lot of treadmills come with parts and labour warranty, which means you won’t have to repair it yourself or pay if something goes wrong. As a general rule, commercial treadmills have better warranties in comparison to budget machines.Accessories and extras – You can purchase many accessories, at gymequipmentireland.ie we offer accessories and extras such as: Floor matting, Extended Warranties, Heart Rate Monitors and a lot more! Reduce Stress – During cardio exercise and training endorphins are released into your bloodstream. This release of endorphins produces a natural high, which in turn can relieve stress Increasing your energy levels,any kind of exercise will increase your energy levels Less Impact on your Joints – Running on a treadmill reduces the impact on your joints compared to running on pavements or road surfaces. To further reduce the impact on joints. Purchase a machine with cushioned deck. Increasing your Lung Capacity – Long distance running will help improve your lung capacity. Improving your lung capacity will make you healthier and stronger Increasing your Bone Density -The impact of running on a treadmill will overload the selected structure and cause your body to increase the density of weight bearing bones in an effort to accommodate the stress of the activity. are suited for a commercial environment such as a health club or gym or for your home gym they are designed for heavy usage throughout their lifetime, which is why you will find such good warranties and usually many extra features on commercial treadmills. Refurbished or pre-owned Commercial treadmills Suited for a commercial gym or a home gym designed for heavy use and will hold its value on re-sale also usually with benefits and features with up to a 70% discount. user weight. Folding Treads are not as stable as non-folding treadmills. 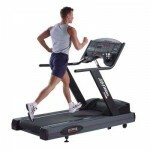 Do I buy a cheap treadmill or a mid range/commercial one? jogging then a treadmill machine under €1300 should suffice. Will it be comfortable to use? The majority of them are comfortable to use it can be hard to make a purchasing decision whilst viewing them on our website. Some machines have a shock absorb system in place and can be much softer on your knees than road running. We always recommend trying out a treadmill at our showroom to help you make a better informed decision. Have you got a delivery charge? Do you offer a quick delivery service? I am tall, am I limited to the running machine I can purchase? Can I try out some of the treadmills that you have for sale? Yes, we have showrooms where you can try out a selection of our treadmills. Or fill out our contact form below for a brochure and one of our expert sales team can contact you to to advise you on your best options. What are The Best professional Treadmill Brands on the market?